Planning a bachelorette weekend jaunt to Miami but need some help with the itinerary? Fear not - we at LastBash have prepared a couple sample itinearies for you to cherry pick from. Go all out with the "On the Splurge" option or dial back the cash outlay (but not the fun, of course) with the value alternative. Better yet, mix and match as you see fit. At the end of the day (or weekend...), it's about having one amazing time with your girlfriends. Sleek Sushi and Cocktails at BONDST Lounge to kick off the weekend. Your tummy will thank you with a delicious meal at Scarpetta. Continue with some retail therapy at Bal Harbour or Lincoln Road. Kick it up a notch at Spazio Nero. "Extra-Curricular" Activity - Bachelorette's choice! Brunch at an outdoor café on South Beach before concluding a fabulous weekend with the ladies. Planning a bachelorette party? Send online invitations and manage bash details with LastBash.com, the easiest way to organize your friends. It's FREE - Get started now! Check-in to The Hotel Chelsea. Bring your appetite to Joe's Stone Crab for some famous leg action. Catch up with the girls over cocktails at Sunset Lounge. Value is a relative term at Canyon Ranch Wellness Spa - your happiness is worth it!. Get the ladies together for a private "alternative dance lesson" at Pole Fitness. Yummy New American cuisine at Michy's (Yes, THAT Michelle Bernstein on Top Chef). Dance the night away to some soulful live music at Hoy Como Ayer in Little Havana. Need more hotel, restaurant or activity ideas? 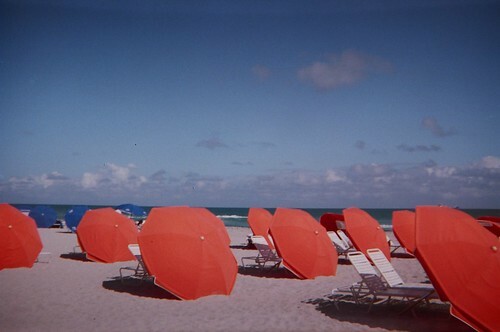 Have a look at our Best of Miami / South Beach City Guide. Have a better itinerary for us to post? Feel free to contact us or post a comment below! Book your trip to Miami with Expedia risk free!